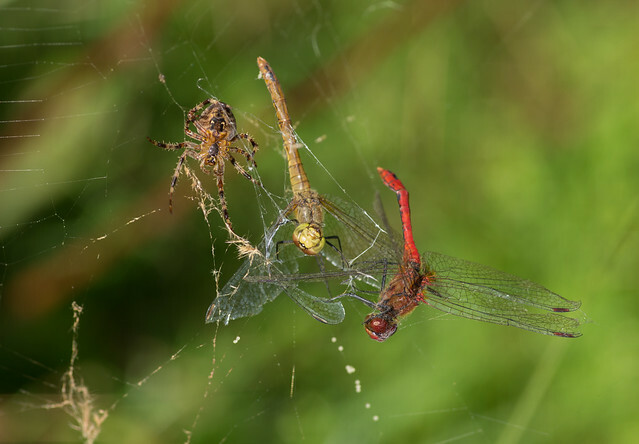 Last Autumn I came across this scene of a garden spider eating a pair of ruddy darters. I have more from this scene, which I’ll post at a later date. Well a pity for the the dragonfly as you know I do love them but, I do love a garden spider or any other spider come to think of it. Great shot Neil.